As a provider of senior care services, it isn't unusual for your clients to ask you questions about Medicare, the federal government program provides people age 65 and old with health insurance. What makes Medicare confusing is that there are different parts with a number of different benefits including hospital insurance, medical insurance for doctor's services and prescription drug coverage. "Who is eligible for Medicare?" Individuals who receive their benefits form Social Security or are age 65 and older are eligible for Medicare. This includes those who have been receiving Social Security Disability Insurance for at least two years. "How do I enroll in Medicare?" Future beneficiaries have a seven-month window before their 65th birthday to enroll in Medicare, it's called the Initial Enrollment Period. Beneficiaries will also want to choose be sure they coverage that suits their health needs. 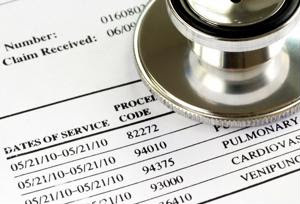 These types of coverage include Medicare parts A, B and D.
"How do I pay for Medicare?" Individuals who are receiving Social Security benefits will see the premium for their Part B coverage deducted from their monthly checks. Beneficiaries that don't get money from Social Security are issued a quarterly bill. Your clients will typically pay Medicare Advantage and Part D drug coverage providers directly. There are many more questions and their answers that can be found on Medicare.gov.